The 1950s was a period where St. Maarten was feeling its way with respect to its national development, and how this should be pursued, whether it would be agriculture, fisheries or the export of salt. In the mid-50s it was recognized by the late Dr. A.C. Wathey that tourism could be one of St. Maarten's economic pillars and over the years the constant and unprecedented growth of the industry has resulted in tourism being the foundation for the island's economy. No other industry has performed so well in the 20th and 21st century. In 1980, 105,000 cruise passengers visited the island. Nine years later that number had recorded a six-fold increase to 616,910 and with close to 900,000 cruise passengers visiting St. Maarten in 2000, the 'magic million' mark was reached on the 17th December 2002. Although St. Maarten’s got plenty of it, beauty isn’t everything! We’ve worked hard to help St. Maarten achieve this well-earned status by developing the right facilities at the right time, continuing ongoing investment and implementing systematic approaches and good customer focus. And we’re keen to continue to provide the best facilities in the industry. Excellent things come in small packages! Our advantage has been our ability to maintain long-term business relationships with major cruise lines. We know the business. We’ve had tons of experience! 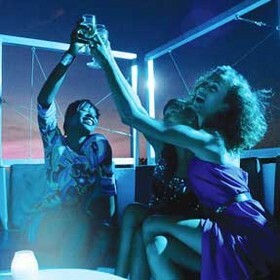 2012 saw its 1.7 millionth cruise passenger – a milestone for St. Maarten, a milestone for Port St. Maarten. In June 2014, the destination celebrated 50 years of Cruise. It was in 1964 that cruise tourism took off. Milestones have been made thereafter one after the next with the two (2) million cruise passenger mark (2,001,996) being made on 31 December 2014. What a way to end another successful year as a mature cruise destination. And there are more to come. Cruises. Milestones. Guaranteed. We’re prepared for the future in cruises. We’re ready to keep on cruisin’! Symbiotic Expansion for Cargo Handling Sector. Full Service Premier Yachting Destination. Market Leader shares its know-how. One single pier (545 m) accommodating 4 ships simultaneously was one pier too few. Opened in 2009, the Harbour Group of Companies upgraded the port by building a second pier. St. Maarten is now one of the few ports able to accommodate the world’s largest cruise ships – the Genesis-class vessels. Weighing over 220,000 gross tons each, and having a capacity of more than 6,000 passengers and crew, two such vessels can be accommodated on Pier 2 (445 m). Additionally, Pier 2 has two booths for passenger screening which expedites disembarkation. Tons of experience. Tons of efficiency. Tons of opportunity. Immediately upon coming ashore, passengers are welcomed to the Harbour Point Village to the sound of steel pans. That tropical feeling on the “Friendly Island” begins! Built in Philipsburg’s charming old architectural style, the Village contains duty-free outlets, souvenir shops and market stalls as well as bars and a restaurant. Here most of the tour and excursion pick up and drop off points are found as well as bus tour stands and the cab stand. Friendly harbour staff are on hand to assist visitors and an information center is located in the main building. We are known, after all, as the “Friendly Island”. First impressions last. We’re prepared for the future in cruises. We’re ready to keep on cruisin’! Diverse transportation options into Philipsburg or elsewhere from the piers is available upon command. 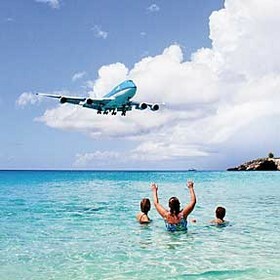 Rapid distribution is of utmost importance to facilitate a positive first impression of St. Maarten. Those wishing to stretch their legs and go on foot need a mere 15 minutes to reach the island’s capital city. Cabs, water taxis and tour buses stand ready to whisk the less adventurous or less mobile away. The Captain Hodge Wharf, Walter Williams Jetty and Bobby’s Marina are three convenient water taxi stops on the Philipsburg waterfront and $6 one-day tickets for unlimited rides can be purchased from one of two private companies. Additionally 100 cabs await cruise arrivals at the terminal for fares to Philipsburg or elsewhere. Convenience. Comfort. Minimized congestion. Take a bus. Take a water taxi. Take a cab. Take a walk. Convenience. Comfort. Congestion, so long! A NEW EXPERIENCE – “THE DUTCH VILLAGE“! Port St. Maarten is bringing back more Dutch flair to St. Maarten. A new attraction, “The Dutch Village” complete with a windmill is being conceptualized after learning from visitors that not enough “Dutch” was in St. Maarten. This addition, as well as expanding shopping and dining facilities to include more upscale offerings and the installation of a pool area with water features and bars, are simply a part of our daily business. A proposed project of about $40 million. We aim to please. We’re pleased to do so. We have to invest. In our future. Our passengers. Our island. Our islanders. In order to decrease the carbon footprint Port St. Maarten and its associates leave behind, Port St. Maarten has harnessed wind and solar energy and we’re working hard to embrace new and innovative alternatives to do even more. The close proximity of our cruise and cargo operations necessitates an action plan to reduce carbon emissions. This will lead to both better working and living environments and to an even more pleasant experience for cruise passengers. As global citizens, passengers are aware of environmental issues we in the cruise industry are confronted with. Anything that can be done at the port to minimize this impact will reflect favorably upon the industry. St. Maarten is the sole Caribbean port to incorporate wind turbines in its environmental strategy. Six 4KW vertical axis turbines were installed in April 2012. Linked to the national grid, when the wind blows energy is produced and surpluses are contributed back. Spatial and aesthetic requirements were met by utilizing innovative design. 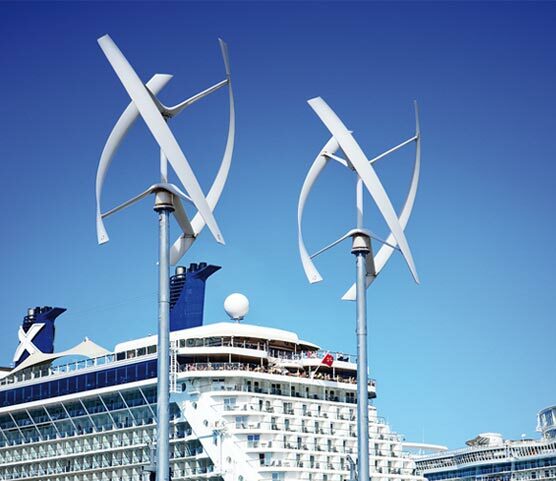 Placement away from the operational areas of the port was essential as was the choice of acoustically unobtrusive turbines which is all necessary when considering the passenger experience in the port. Implementation of solar panels to produce energy is simply common sense in sunny St. Maarten. Installed on the cruise terminal roof and connected to the national grid, they generate 3KW. Solar energy can be produced even when the clouds roll in so we’re planning to install even more. More power to and for sun-kissed St. Maarten. Solarpowered electric golf carts are on Port St. Maarten’s agenda. A fleet of electric golf carts to reduce pollution is currently being utilized in the port to enhance passenger comfort and to ensure expedition. Port St. Maarten empowers its employees and associates leading to smooth, safe and efficient operations across the board. Job training, team building, GLS software platform training, exchange programs to learn are all key to having a 21st century port. We ensure they learn the ropes. Our people are our future. They are worth investing in for sustainable futures. The consultancy’s initial “product” is the GLS software platform which was developed for and implemented successfully at St. Maarten’s cargo handling facility. Successful teamwork between Port St. Maarten and Dutch-based software development firm, IT Partner, led to the birth of the SMHC Consultancy Company. Our consultancy provides the Caribbean area with port consultancy software and services. Fueling operations and terminal management are further consultancy services we are able to offer, as well as skill outsourcing of St. Maarten’s highly trained crane mechanics to other regional ports having similar equipment. Finally, co-development opportunities in the immediate region, for example on Saba and St. Eustatius, are also being sought. We’d like to share our know-how and let others profit from our successful efforts. WE FOCUS ON THE FUTURE AND VALUE OUR PAST. St. Maarten is a successful cruise destination because we‘ve listened to the cruise lines and we understand the business. We understand the need to be able to offer a quality land experience to passengers, and the necessity of shore and land excursion revenue as well as sustainability concerns. Our port facilities have been the catalyst for the improvement and development of different areas of the island. Our transportation network was improved by the completion of the Simpson Bay Lagoon Causeway in December 2013. The construction of this causeway eases traffic congestion for tours as well as for individual beach-bound passengers. We are committed to balancing our role as an economic driver and are dedicated to lessening the impact of our operations on the environment. Our island is rich in history and has a diverse cultural background. Join us in our prosperous future. The friendly island awaits you. OUR VISION – Port St. Maarten will lead in the Caribbean through quality service and operational excellence while providing a safe and secure environment for our customers and the people of St. Maarten. OUR MISSION – To provide quality integrated services to our customers through continuous development and innovation in all areas of business while maintaining the leadership role in the economic devel-opment on St. Maarten where sustainability is the cornerstone for 21st century port development and progress. 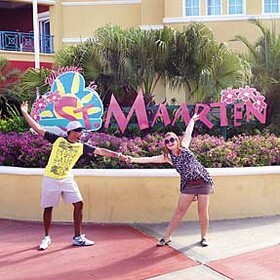 Strictly speaking, St. Maarten is not an island by itself, but an island half shared in two! 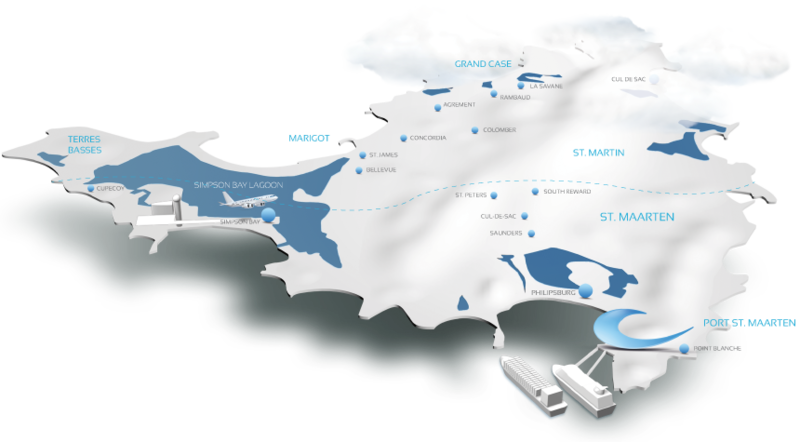 We share the other half with the French Collectivity of St. Martin, which is part and parcel of France. St. Maarten/St. Martin is the smallest island in the world to have dual nationality. Our borders are no border. Remarkably, over 130 nationalities are represented. We are proud of our island and proud of our islanders! St. Maarten consists of the southern half of the island with Philipsburg, it’s capital, at the head of Great Bay in the southeast and Simpson Bay Lagoon to the west. 10.10.10 was a magical day for St. Maarten. We became a country within the Kingdom of the Netherlands. The Kingdom of the Netherlands now comprises of four countries, the Netherlands, St. Maarten, Curacao and Aruba. St. Maarten is one of the world’s leading cruise destinations and is soon to be a leading Caribbean port of choice for regional transshipment. 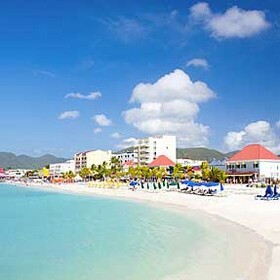 St. Maarten, rich in diversity, history and opportunity! LIVE IT. HAVE IT. BE IT. 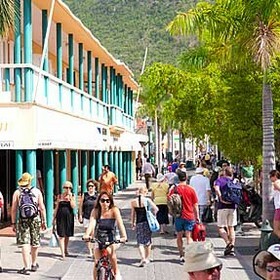 87% of St. Maarten’s revenues come from the tourism industry. 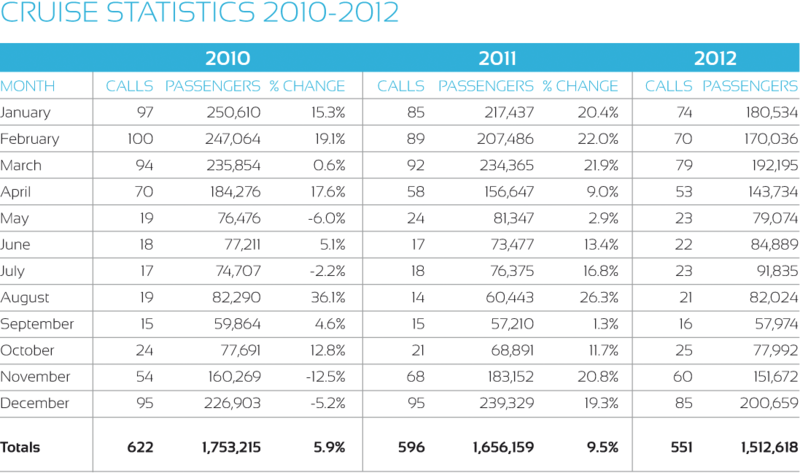 The cruise industry is the major contributor. The extraordinary success of our tourism industry attests not only to St. Maarten’s spectacular island scenery but to dedicated teamwork of Port St. Maarten and the St. Maarten Tourist Bureau in actively marketing and developing its utmost potential. 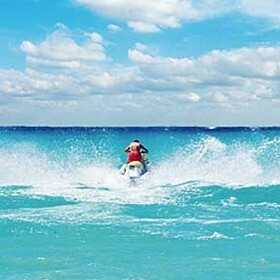 We are one of the most successful tourist destinations in the Caribbean. There is a reason why we are known as “The Friendly Island”! With our long history of warm hospitality and delightful cultural diversity, we always do our best to ensure that short-stay cruise passengers and long-stay tourists reap the most. The maximum. Our well-developed infrastructure and facilities ensure that the math works: maximum hospitality + playful possibilities = ultimate experience! Whether on land or water, the choices are endless for cruise passengers to spend their time on or around our delightful island! Our world is their oyster! Jeep safaris, bus tours, hikes, guided Harley-Davidson tours, quad bike excursions, casinos, nightlife, island restaurants, zip-lining, butterfly and bird watching, clubs, nature reserves, health spas, plantation visits, dancing, musical concerts, duty-free, Maho Beach plane-spotting, you name it we have it.Snorkeling, deep sea fishing, jet-skiing, yachting, catamaran circumnavigations, kayaking, swimming, sunbathing, world-class beaches, yacht charters, boat tours, you name it we have it. We work closely with the cruise and yachting sectors. We share one vision. We seek to maximize the quality offered to tourism customers and, at the same time, to maximize the quality of life of our community, St. Maarten. Enhancing the visitor experience means being innovative and inventive. Upgrading of existing overnight facilities to cater to the ever-expanding number of staying guests, we are always a port on the move. Adding boutique hotels. A new waterpark. Spa facilities. We’ve prioritized for our future. Motivating cruise passengers to return to our island for longer stays. Again and again and again. The completion of the Simpson Bay Lagoon Causeway at the end of 2013 linking the airport area with Cole Bay improved accessibility to and from SXM Airport by providing an alternative route to the existing Simpson Bay Bridge. A mere 15-minute walk from the terminal or a 5-minute ride by water taxi, our “city” awaits the curious cruise passenger. 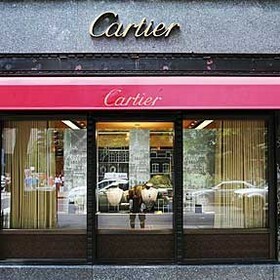 Whether duty-free shopping, sightseeing or eating tops the “to do” list. Founded in 1763 by John Philips, a Scottish captain in the Dutch navy, Philipsburg soon became a busy commercial center. The Great Salt Pond, actively mined up until 1949 was a lucrative income source for the island. Fort Amsterdam and Fort Willem built by the Dutch and British respectively in 1631 and 1801 are well-known landmarks which give evidence to St. Maarten’s former military importance. 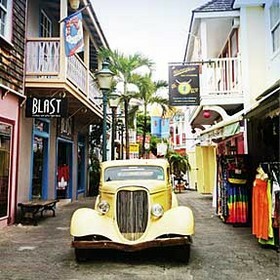 Two main streets, Front Street and Back Street run the length of Philipsburg with interconnecting alleys: a shopper’s paradise – duty-free! 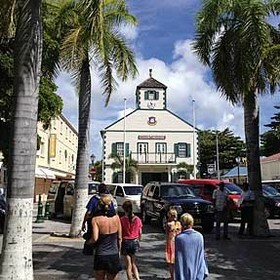 Philipsburg also offers interesting attractions and historical sights such as the Courthouse, the St. Maarten Museum, Old Street and the Guavaberry Emporium. Running nearly the length of the waterfront, our relatively new 50 ft-wide boardwalk is one of Philipsburg’s biggest passenger attractions. It is packed with hotels, restaurants and lively bars and, within “a stone’s throw” of the cruise terminal, it is an ideal place to relax, stroll and take in the local atmosphere. Fantastic Philipsburg has something for everyone!